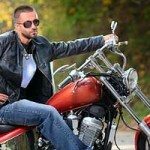 Do I Have a Motorcycle Accident Case? 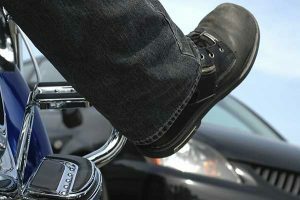 You are here: Home / motorcycle accident settlement / Do I Have a Motorcycle Accident Case? As an experienced Pennsylvania motorcycle accident lawyer I handle a large variety of cases. Aside from the satisfaction I get helping others, this keeps me interested after all these years. 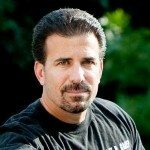 Anytime a fellow rider has an accident of any kind on their bike, I would like to help. However, there are just some cases where riders don’t have a claim, so I cannot help. Most cases I can’t help with don’t involve a responsible party.. basically, you must have someone to sue before you can collect anything. Other times, there are jurisdictional issues, as I only handle motorcycle cases in Pennsylvania and New Jersey. I will present these real-life situations of claims in a Q & A format. Answer: Many common conditions exist that are dangerous for motorcyclists, but riders are responsible for controlling their bikes in a variety of road surface conditions. The insurance company is correct. Answer: Motorcycle accident lawyers don’t handle comprehensive damage claims involving acts of God. You need a lawyer when another person, company, or institution is responsible for your accident. Why? Because lawyers go after an at-fault party to collect reimbursement for your injuries or loss… wildlife and wind don’t have anything to go after. Answer: Even though you sustained an injury as a result of riding your motorcycle, there is no party to make a claim against in this case. “Five weeks ago I bought a 2008 Kawasaki Vulcan 1600 Nomad. A week ago I discovered that when you remove both hands from the handlebars the bike goes into “Death Wobble”. They have tried twice to fix it by tightening up the steering bearings and it did not solve the problem. The salesman that sold me the bike said that all bikes do this if you take your hands off the bars. Answer: I am glad that you discovered this flaw and are working to correct it before you sustained a serious injury. You have done the right thing so far. Unless an accident occurs as a result of this condition, I cannot be of use to you. I handle injury cases caused by negligent design, but not cases to get a bike replaced before an accident. You may need to find a good product liability attorney. I would advise you not to ride that bike until the issue is completely resolved. Answer: You may be able to recover damages from equipment failure if a part or system assembly that failed had a design flaw. Almost all motorcycle tires follow a tried-and-true design. Tires can blow out for a variety of reasons, even a new one. It can be difficult to win a case against a tire mechanic, because you have to prove he mounted the tire in such a way as to cause the blowout. Unless you are in an accident a few miles after the install or just a few minutes have gone by, you generally have a tough case. Answer: If you, or the person responsible for your accident don’t have insurance, there is typically no money to pay your claim, even if we win. However, even if you don’t have health/medical insurance, we can go after the at-fault (responsible) party to pay your medical bills, and any pain and suffering. Please, everyone reading this, learn from these riders and get adequate motorcycle insurance before you hit the road. Answer: We can’t sue a deer. Answer: Nobody likes to be inconvenienced, but in most cases you cannot get reimbursed for your time when inconvenienced by an accident. However, if the other party was responsible, they can ultimately be made to pay your health insurance co.
Answer: You can’t make a claim against yourself. Answer: I don’t handle cases where a crime was involved. He needs to contact a Criminal Attorney. Answer: It depends on where it happened. Call me to discuss. Bottom line, on most of these cases, they did not have another party to sue. If you are unsure whether you have a case or not, please don’t hesitate to contact me. You are not expected to know whether you have a case, that is my job to advise you. Call Lee Gaber, Esquire at 888-292-5352, 24/7 if you have been involved in a motorcycle accident in Pennsylvania or New Jersey.